walkaboutwear has no other items for sale. The Travel Scope 70 from Celestron is made of high quality materials to ensure stability and durability. 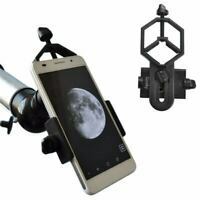 Featuring a compact and portable design with ample optical performance, the travel scope is ideal for terrestrial and casual astronomical observation. 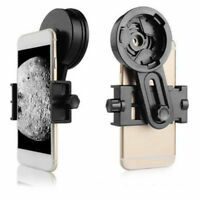 I think is a very good telescope not only for beginners, but to travel too. The only downside of the product is the tripod which, is not of the best quality, mine is not working very well. The up and down base where you install the telescope is not holding the position, and the screw where you put the telescope on, has a plastic knob which came without glue or something and is not holding its position either. I think have to buy a better tripod. It's serves its main purpose of a beginner telescope . Love the bag how it fits everything . But the tripod is not stable especially when your are using the Barlow with the low lens . The objects wiggle in site as the tripod wiggles of every movement you make or if it's just a little wind , they could of made the tripod more secure at the tightening ends . Everytime I adjust the angle view knobs , there is a slight seep drop of the telescope after it's being tightnened. Which means you have to adjust a extra pinch according to that . The finder scope is made from plastic but it seems very hard to calibrate because of the seep after tightening the screws . Other wise it's a great telescope . I don't think I'm getting the full 160x or not even 120x with Barlow because of its low focal length . But i have spotted the craters on the moon and Saturn ! If my city allows me to view a dark sky I'm sure I would see a lot more with this telescope . So yes it's great but it has low magnification , don't expect to see the nebulas , other planets and solar systems, asteroids or anything else that the Hubble space telescope sees . You will probably see mars, Venus, mercury, Jupiter , saturns and its moons . Once again it all depends on how you plan on using it when and where . I believe you can get a lot from this thing if you know what you doing with it! I bought this to use as a light weight guide scope. For my use it works good. As a travel scope it is a good value. The tripod is flimsy and the finder scope meh. I use a green laser for a finder. Celestron gives me a good, affordable telescope I can take anywhere. It is easy to adjust and focus and is perfect for my needs. I can star gaze or see across the lake with ease.